Another restaurant by the Paradise Group! 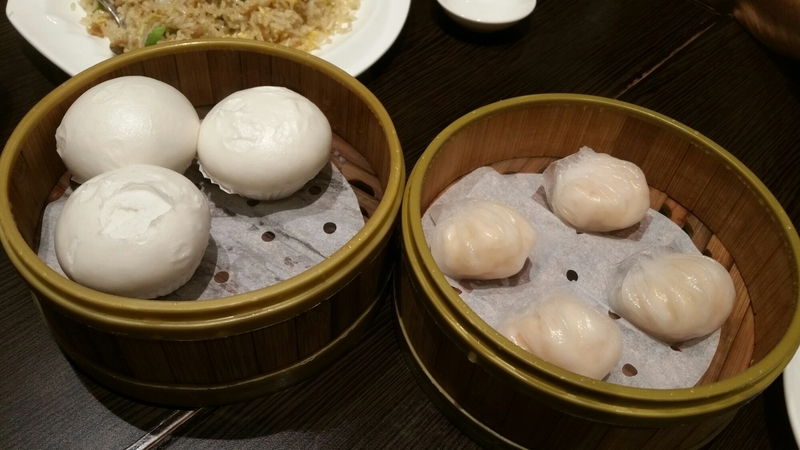 This is Canton Paradise, serving authentic Cantonese and all day dim sum! 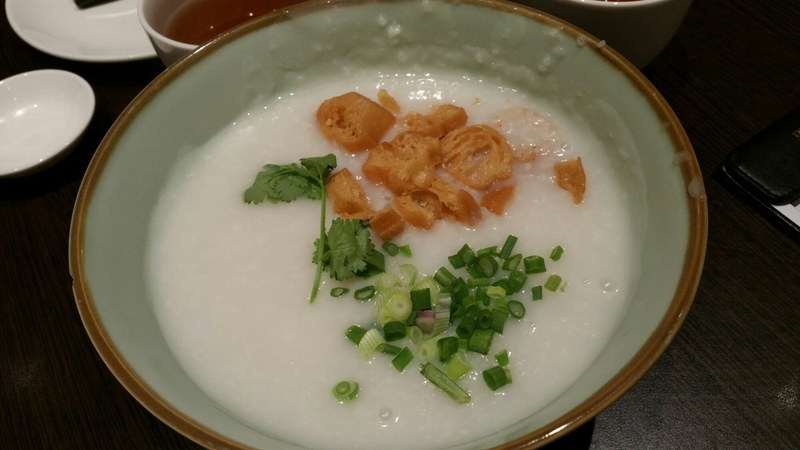 The congee in Hong Kong is really different. Smooth, goo-ey and good. Food in Hong Kong are usually served with generous servings of real meat, and lots of them unlike the teeny-weeny pieces of chicken that we can easily count in Singapore. To start off, we had prawns cheong fun. It was so-so only. Although the skin was smooth, it was thick. The sauce that was sprinkled on top was a little tad too heavy and thick. It wasn’t much fragrant either. But the prawns were big. Not to be missed is their you tiao. They are placed in a box surrounded by newspapers, and the box sits on a stool. The old man, around in his 70s, cut them with a pair of scissors and then wiped them with a piece of cloth on the table. We were wondering if he ever washes the scissors and the cloth. 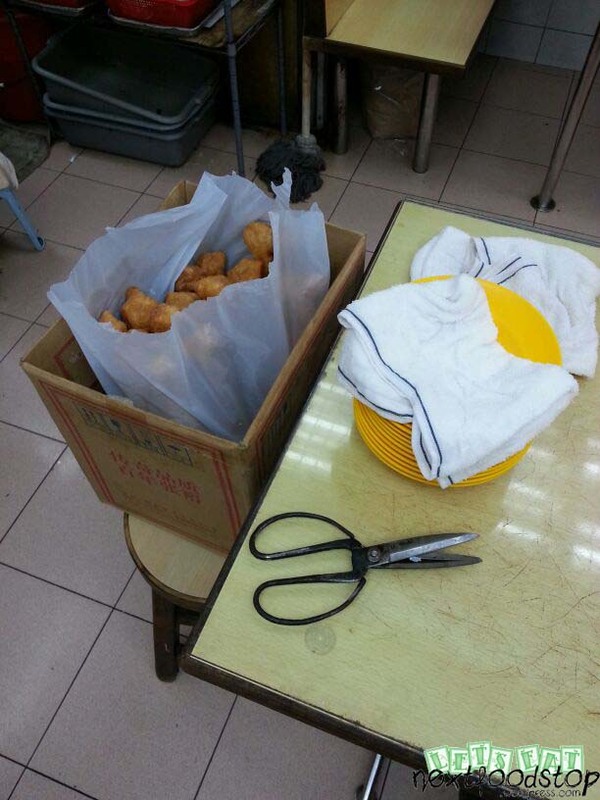 But we really cannot judge this you tiao but its appearance. 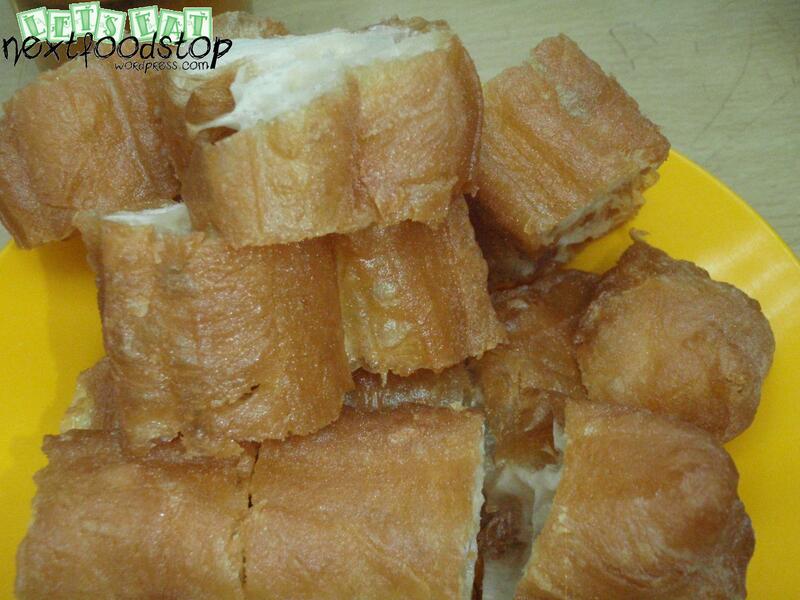 This you tiao surprised us with its crispness! 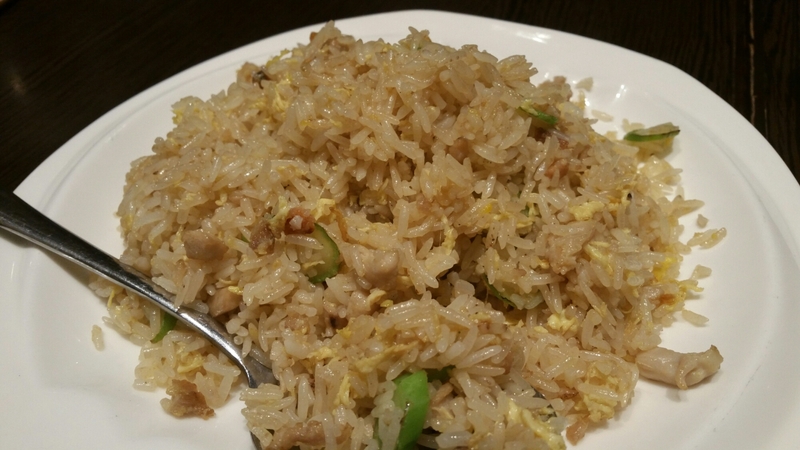 It was not too oily, light, fluffy, thick (in diameter) and very fragrant. We wanted to order another one, but it was sold out very quickly. Their porridge was really good. 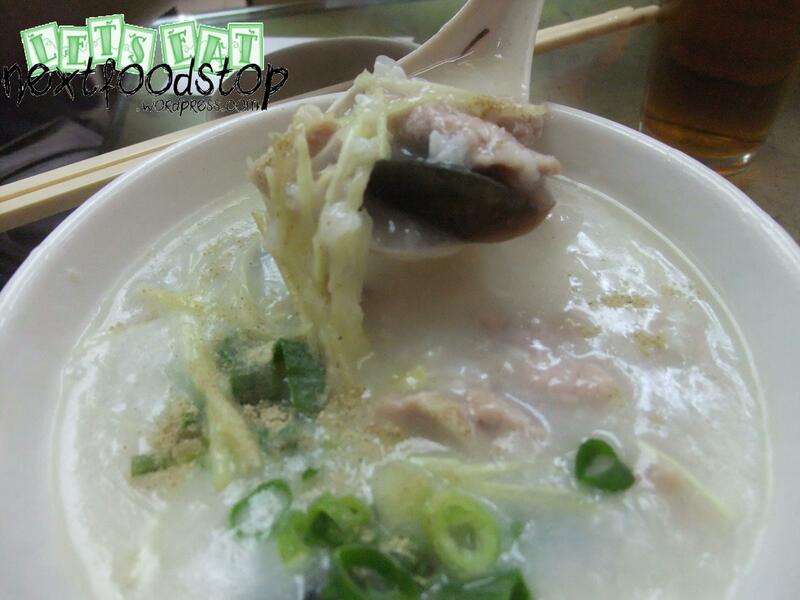 The taste of the fish or pork or whatever sort of ingredients you ordered leaks into the porridge and gives a good taste, especially when eaten with the thin ginger slices. 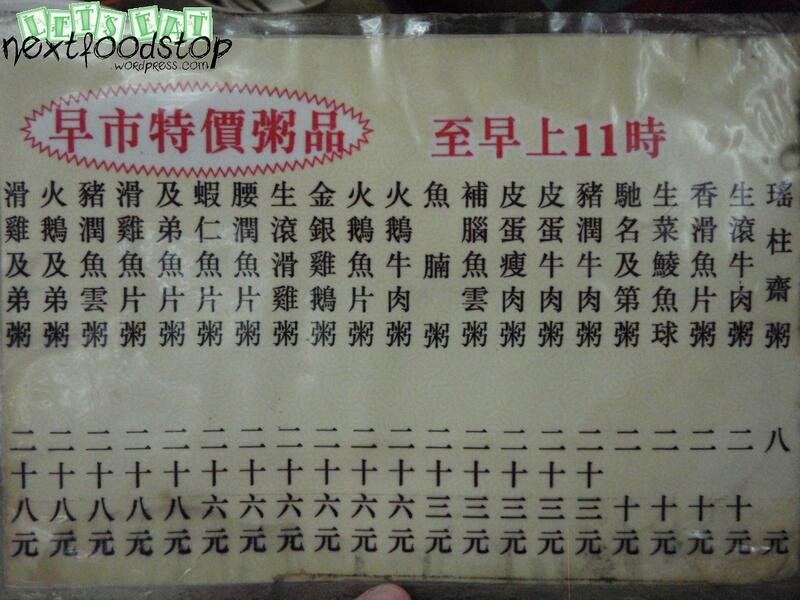 You can request for your porridge to be thicker, as the original is a little watery. The meat are big and they are not stingy with the servings. Be mindful of a foul smell and oily floorings when you step in. The seats are also a little small and squeezy. You may also catch some unhygienic practices. However, I feel that this place is definitely worth going despite all that. *Note: Breakfast serves till 11 am or earlier if sold-out. My favourite place to eat frog legs porridge and oyster omelette! No need to go Geylang and sweat over parallel car-parking! My colleague had a craving for these today, and hence, we were there AGAIN! HAHA! The only bad thing is that the tables are small – can only fit 6 people at most! Our table is always filled to the sides. And the place is super crowded and a little dirty. 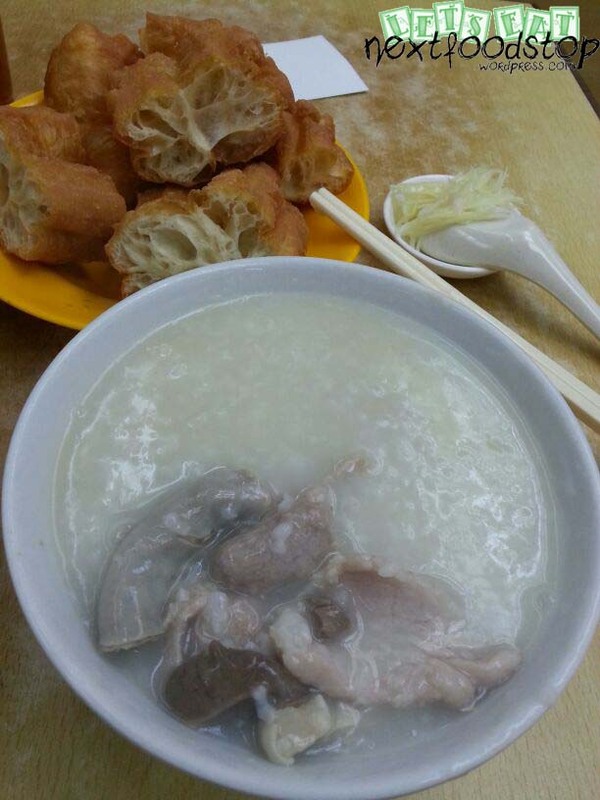 Frog leg porridge: 1 for $8, 2 for $16 and 3 for $22. The 宫煲 (gong bao) flavour one is the best! Spicy and fragrant! The frog is not the mini small ones, but quite large ones, which are meaty and their meat is so irresistably chewy! The gravy that comes with it matches the plain white porridge perfectly. The plain porridge comes in small, medium and large sizes. They also have it in ginger-onion (姜葱) flavour, which is more suitable for those that cannot take spicy stuff. Seriously, why is it that so many people not be able to take spicy stuff?!?! They are missing out so much food! Next time I will post on spicy steamboat (麻辣火锅). There is also this stall that sells carrot cake, oyster omelette and Hokkien mee. All of these mentioned are FANTASTIC! The Hokkien mee is not too dry, nor too soggy. And the mee has that prawn flavour all infused! The oyster omelette ($5 or $8) is crispy and do not miss out their chilli sauce!!! I usually don’t dip chilli while eating oyster omelette. But this one is super good that I can’t resist! The carrot cake has a lot of egg with it, and almost every bite of it is with egg. YUMMY! Recently realised that Crystal Jade serves quite good dim sum. The century egg porridge is ok only. Even though the porridge is very smooth, the taste was not very great. They failed to infuse the century egg and pork flavour into the white porridge. $6.80. 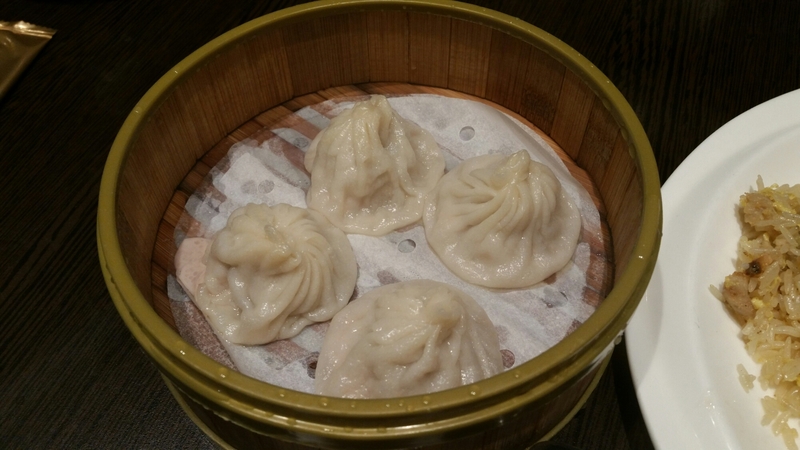 Xiao Long Bao, which has always been my favourite since Uni days, is sold now at Crystal Jade Kitchen! 4 xiao long bao for $4. Somehow, I felt that the skin has thickened at the top. 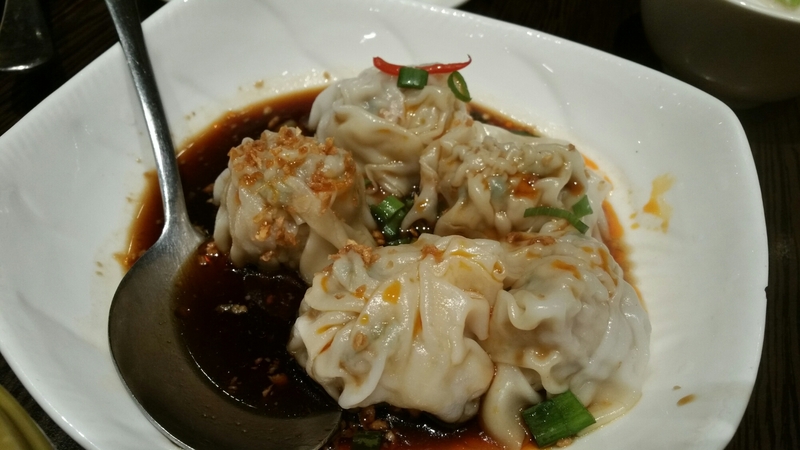 But the flavour is good and the amount of soup in the dumpling is sufficient. They have four types of chee cheong fun – scallop, prawn, dough fritters and char siew. The scallop one is special, and I quite like them followed by the prawn ones. 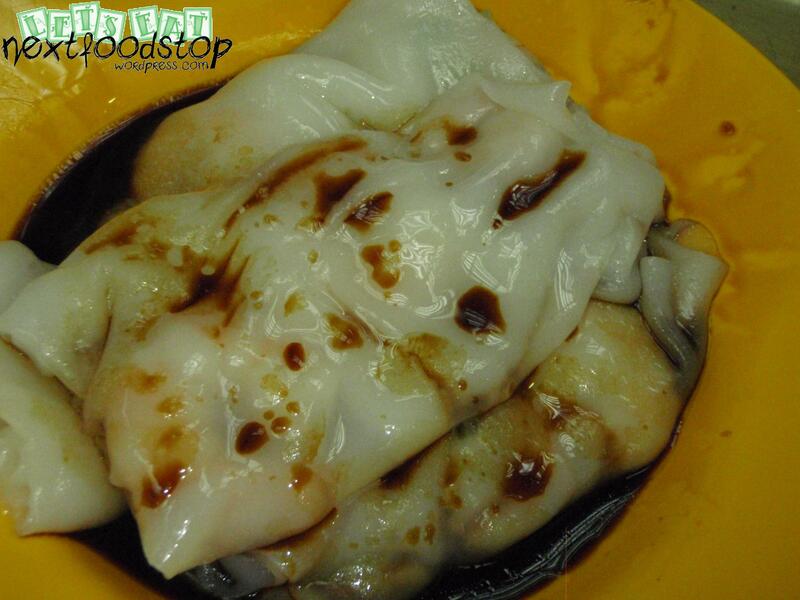 The most important part of chee cheong fun is the soya sauce and the “skin”. The sauce is good, and the skin is just of the correct thickness. 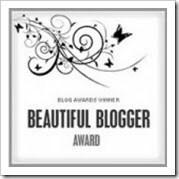 But of course, the thinner the skin, the better! There comes my favourite har kau! The skin is of the right thickness, and the prawn inside are whole prawns, not the minced up type! The siew mai is all right. Nice egg tarts are not easy to find in Singapore! Crystal Jade sells really good egg tarts, especially good when they are fresh out of the oven! $2.80 for 3 pieces. My colleague like this E-fu mee. I took a bite of it, and I don’t think it is as tasty as what he described it to be. 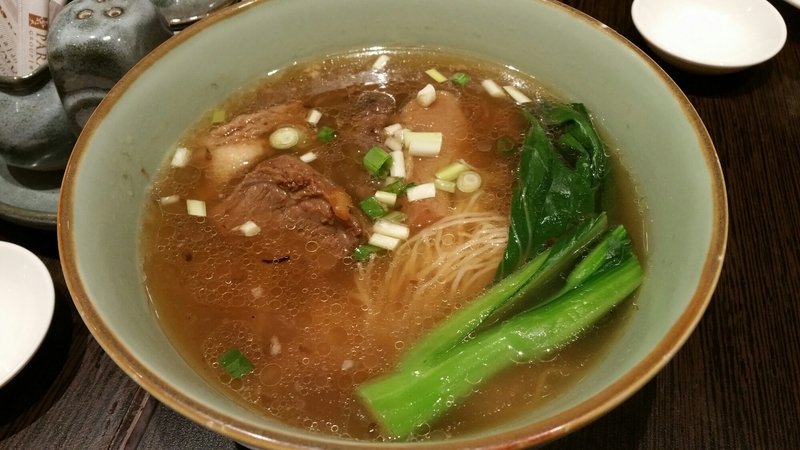 Canton Kitchen’s e-fu mee is much nicer. $10.50. Exclusive of 10% service charge and 7% GST.